Kitchen of Kiki: Why this blog ? I started this blog November 13 2010 as a way of relaxing my head and mind from a overloaded mind from work. All my thoughts kept moving around in circles relating to work, work and yet some more work issues. To break this chain of thoughts I consider either to start singing gospel or to create my own blog. And I can not sing, so in order to save various gospel choirs from my voice, I went for the second choice as I cook and bake better, when I sing. I found the film "Julie & Julia", which I saw back in 2009, as a hugh inspiration. 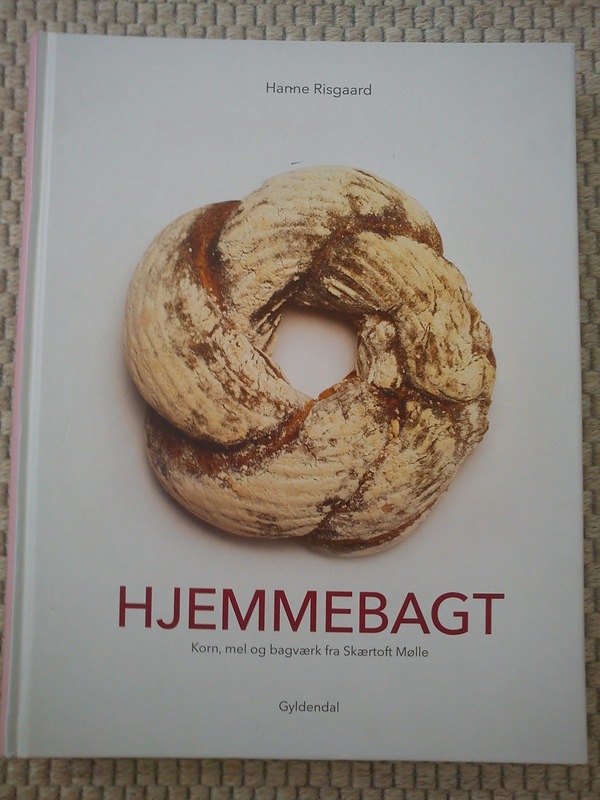 So to get started I decided, that I could use my very own blog as a way to work through the baking book "Hjemmebagt - Korn, mel og bagværk fra Skærtoft Mølle" by Hanne Risgaard. Since participating in a baking course at Skærtoft Mølle back in February 2009 I have using the same recipe on walnut buns again, again and yet one more time again. It is a very good recipe, but I decided to expand my portofolio of good recipes. So with this blog I will slowly bake my way through this baking book, which is such a pleasure to read and look at. 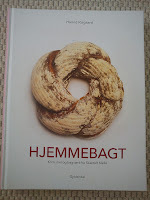 Link to the baking book "Hjemmebagt"
As a starting point I decided to write this blog in English as I would like to share my experiences with as many as possible. Due to my work I use English so much more for written communication than my mother language Danish. In February 2011 I took another big step into the blogging world, as I had this blog added to two Danish blog overviews, which is Madbevægelsen and Madblogs. This small step really gave a big boots in the amount of vistors to my kitchen. Also a former work colleague is linking to my blog from hers: http://www.hannesblog.dk/. Another small step taken in March 2011 was, I added to the blog list of the garden blog of Claus Dalby. It is always with big interest, that I look at the world map, where the visitors into my kitchen are coming from. And I am also curious, which posts are being read by you.